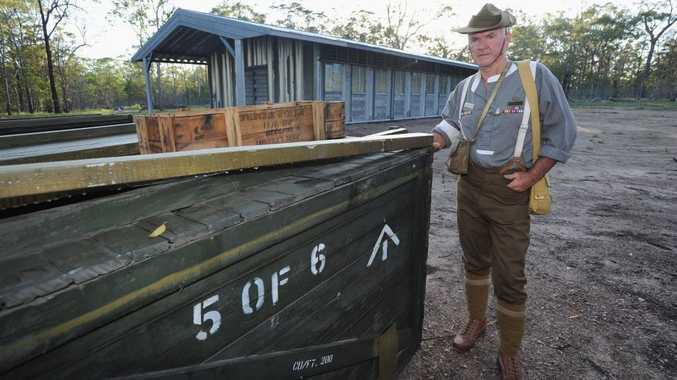 IT WAS destined for the battlefields of Vietnam - but instead, a giant shed supposed to be used as a soldiers mess remained in storage at the Wallangarra Army Depot for about 45 years, until now. The sheds were used as food halls in the conflict, which saw 60,000 Australians deployed, 3000 wounded and 521 die. However some sheds were surplus and not used - leaving them to gather dust in a storage facility in Wallangarra, a town on the border of Queensland and New South Wales. Quietly, and with no fanfare, one of the decades-old spare sheds was built behind the Toogoom Community Hall earlier this month. Army engineers used the construction of the shed as a military exercise. And for five days the Toogoom Community Hall became a tiny army base. Soldiers used the hall for showers and eating while they camped and kept their gear on the construction site. Toogoom and District RSL sub-branch president Ken Higgins served in Vietnam. He was lifted from the jungle by an American chopper after being wounded. 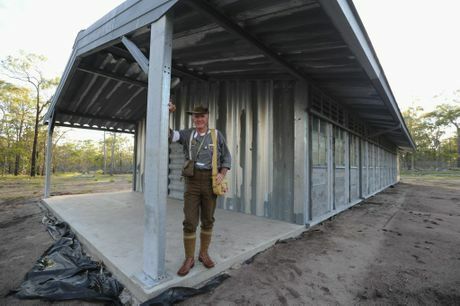 For Mr Higgins, the new shed has bought back some good memories about his time in the army. "We in Nui Dat had one of those as the mess hall - and refreshment room," he joked. "We had some great times because that was back in camp - out in the bush it was a bit different. 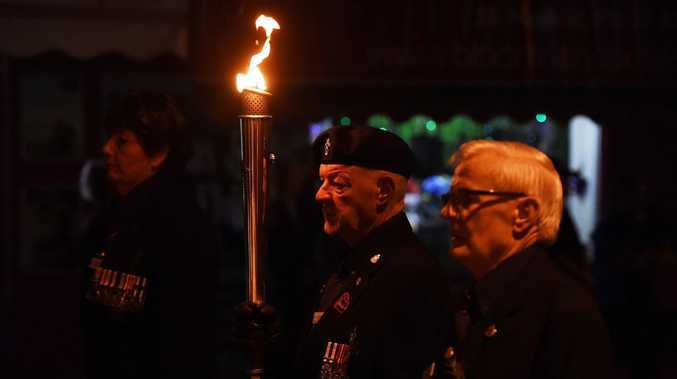 "But back there it was a bit of relaxation and bought back some great memories of Vietnam." Mr Higgins said the shed was built after several casual meetings with Former Minister for Veterans Affairs Warren Snowdon. Mr Higgins said the hall was identical to the ones in which he ate and drank in Vietnam all those years ago.